In today’s competitive global economy, it’s vital for businesses to adopt a data-driven strategy. As an entrepreneur, data serves as your compass. It points and steers you in the right path. When you collect and study your numbers, you can shape your marketing efforts according to your target audience. Your data can also help you enhance your overall marketing tactics and know your customers better. Laurence Durand, co-founder of DRIVE agency, understands the pivotal role of a data-driven strategy in the entrepreneurial landscape. She also knows that there are plenty of excellent women in the data scene. Her passion and drive to unite these women resulted to ‘Superwomen in Data’, a series of innovative conferences on digital topics. 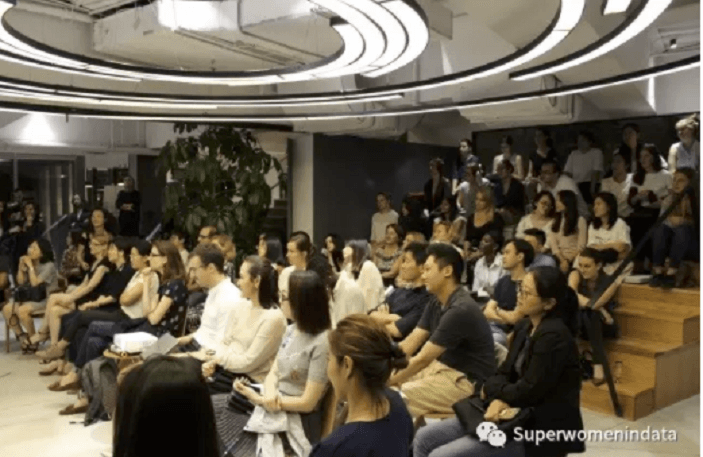 To learn more about this event, we spoke to Laurence, the great mind behind Superwomen in Data. I am Laurence, a 32-year-old entrepreneur. I’m the co-founder of DRIVE agency , a company that specializes in digital and data-driven strategy. I started my career as a digital project manager for Renault and then Peugeot in the UK. I moved back to Paris and integrated Peugeot Central teams. I was a successful Digital Project Manager and International Coordinator. For two years, I traveled around the world to meet Peugeot collaborators and define the strategies to face digital challenges. Then, in 2012, I was given the opportunity to manage a big data project for PSA – the implementation of Google Analytics on the global ecosystem. It was the starting point of my data career. For over two years, I built a team of experts with a data analyst, a business analyst, an SEO expert and a CRM manager. We evangelized the data impact on our society and focused on how to make the most of it in our business. I wanted to know more about the other side, which is consulting. I have integrated Equancy, a French Marketing consulting firm based in Paris, NYC, Mumbai, and Shanghai. I developed the Digital Performance team in France and managed a team of 20 collaborators for international clients such as Nissan, Michelin, Sephora, and Disneyland. After two years, I moved to China, still for Equancy. I learned a lot about Chinese digital ecosystem. It really was a rewarding experience. I met some nice and open-minded people from all over the world. I also got the opportunity to launch the after-works for the French Tech. Last but not least, I definitely fell in love with Asia. This the reason why I left my former job to launch DRIVE agency in Ho Chi Minh City, Vietnam. 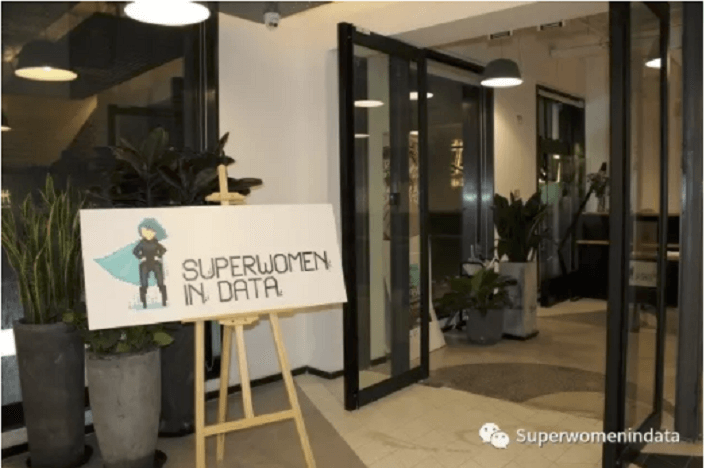 What is Superwomen in Data conference? Where did you get the idea to organize it? Superwomen in Data is a series of innovative conferences on digital topics. It’s exclusively organized by a group of extraordinary women, who are experts in data and digital practices. Our goal is to put female data experts in the spotlight by giving them the opportunity to share their valuable experiences. We also gather professionals of any gender to learn and discuss the future challenges of digital and data. I’m a big fan of events that are dedicated to female entrepreneurs so the idea naturally came up. This is SWID’s second event. How did the first one go? And what should we expect this time? The first event was a success. We expected 100 attendees and we reached our goal. The speakers, place, and food are all great. For our upcoming second event, expect to learn about data and be inspired by experts who are dealing with it on daily basis. You’ll also learn how they seize the opportunity to improve their businesses. We will feature five superwomen. First is Teresa Truda, co-founder at Chozun. 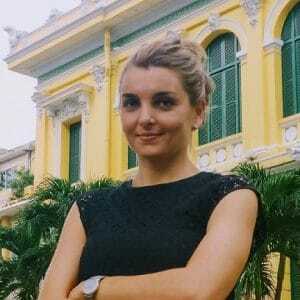 The topic of her talk is “From a traditional Australian-Italian girl to blockchain and Big Data Entrepreneur in China”. Then we have Chuan de la Hosseraye, CEO & founder at ABW Health. Her speech will be about “Transforming Wellbeing with Data: My Dream of Making Workplace a Better Place”. Our third speaker is Charlotte Wang, CEO & founder at EQuota energy. She will discuss “AI Alone won’t Change the Energy Industry”. We also have Sze Kei Hue, a Production Manager at Allure System. She will talk about “Fashion Virtualization: create apparel images with data, improve conversion rate”. Alex Horle, Regional Operations Director at Ctrip, will also have a talk called “A Journey Around the World: From being an Entrepreneur in New York to Working for a Chinese Data Powerhouse”. What problem is SWID solving and how did you identify this need? There is not a big issue to solve from my point of view. SWID is simply a great occasion to gather female communities. It gives women entrepreneurs the opportunity to share their experiences and inspire others. If I focus on data, it’s becoming a hot topic in China. But it’s still not enough compared to the US or the European markets which are very advanced on this. For many years in this area, I admit that we run the world for sure, but men are still predominant. With so many conferences, BarCamp, and TEDx happening regularly in Shanghai, what are you doing differently? The format. We give each speaker 10 minutes to share their knowledge and experiences. Also, they all share one point – they all run a company or lead a team of data experts in China. 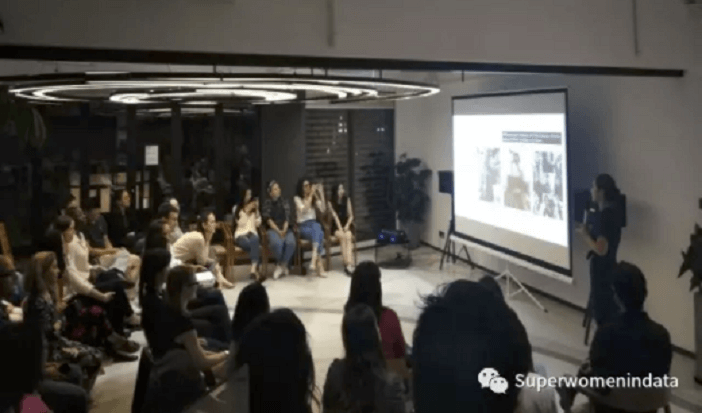 How is the entrepreneurial scene for women in Shanghai? Do you think it lacks something? There are many female groups such as Female Entrepreneurship Worldwide or Ladies Who Tech. They all highlight successful women. Some of them are supporting us for the event and there is a real community around this. In the meantime, I guess that women don’t know or are afraid of joining a community. Do you have sponsors or partners at this event? I remembered chatting with Rachel Daydou, explaining that I could not manage to organize the 2nd edition from Vietnam. She simply made it happen. She has been focusing on content and speakers’ interventions and spending time with each superwoman to frame a structured speech. She ensures the delivery of a high-quality content. The girls from ESSCA’MBA – Stéphanie and Margot, are still there to give us a boost in the communication during the event. As I said earlier, there are groups that support us such as French Tech, China Classified, FEIY, FEW, Female Entrepreneur Worldwide, Startup Grind, Her Century, Networking Matters, Meet u Go, Ladies Who Tech and NextStep. Also, the most difficult part is finding sponsors. Luckily, we can rely on our loyal partner, Fields China. What are the 3 pieces of advice you would give to women starting a business in Shanghai in 2018? Learn about the local digital ecosystem. Hire local people, localize your product, and attend events to develop your guanxi. 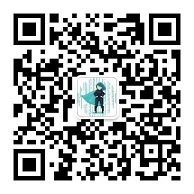 To learn more about the event Superwomen in Data which will happen on November 21, follow their WeChat account superwomenindata. You can also register on this link, or shoot Laurence an email at ldurand@drive-agency.com.